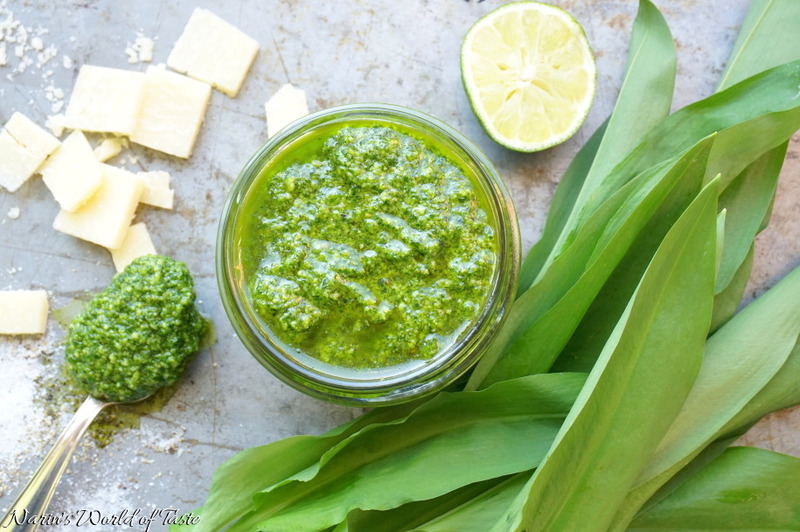 This pesto is something very special for me because the wild garlic I used was hand picked by my grandfather. Seasonal wild garlic, also called bear’s garlic, can be harvested between April and June in woodlands. Compared to cultivated garlic, you eat the leaves instead of the bulb, and its taste is more delicate, like chives. My grandfather spends a lot of time in the woods to collect mushrooms and also wild garlic when it’s in season. 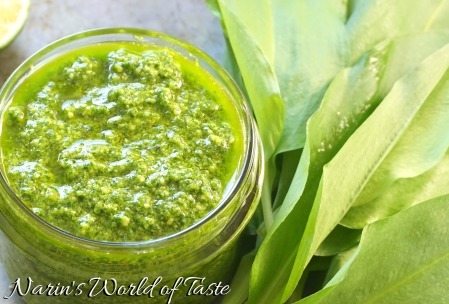 When making pesto out of wild garlic, you can store it at least for two weeks in the fridge and you can use it to flavor many different foods, for example, stir fried vegetables, noodles, chicken, and soups. 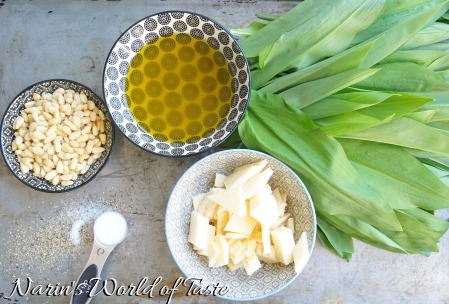 Wash the wild garlic thoroughly and slice it. 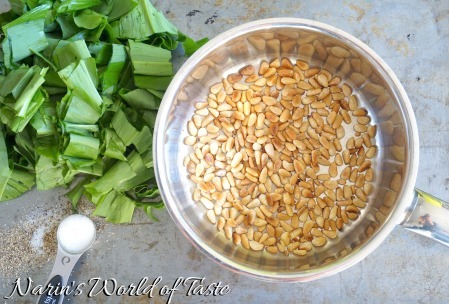 Heat the pine nuts in a pan without oil until they are lightly brown. 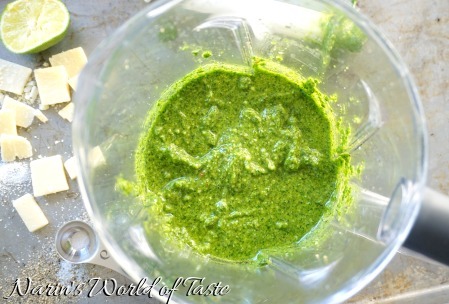 Then pour all ingredients into a measuring glass or Tupperware and puree it with a hand blender or regular blender until everything is completely blended. Serve it fresh over pasta, Zucchini Noodles, or anything else you like. 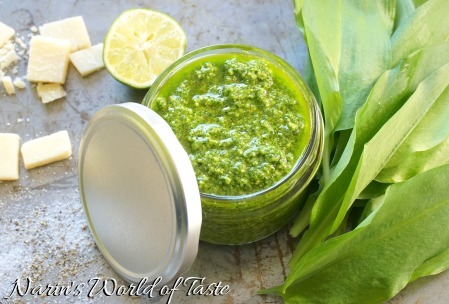 If you have any pesto left over, you can store it for about two weeks in the fridge in a jar or Tupperware.